Gov. Bobby Jindal has appointed former Rep. Tony Perkins to the Louisiana Commission on Law Enforcement, and the Senate has confirmed his nomination. The commission awards grants and governs practices of State Police and local law enforcement agencies. Perkins said he is happy to be working to fight the crime problem. The appointment is the first postion Perkins has accepted since leaving the legislature in 2004. 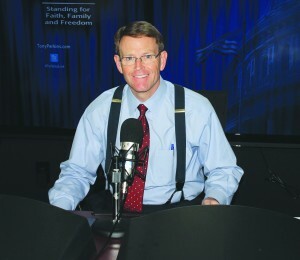 He remains president of the Family Research Council in Washington and commutes there weekly during most of the year.